Why Is A&K Abercrombie & Kent, the Luxury Tour Company, So Famous? There are so many luxury tour companies out there. Abercrombie & Kent, now referred to as A&K tours, is a well-known luxury travel tour company. This industry pioneer was founded in 1962 and became synonymous with adventurous luxury tours. A&K is a repeat honoree of luxury travel awards. Among these honors: Travel + Leisure World's Best Awards; Condé Nast Traveler World Savers Awards; and National Geographic Adventure Best Adventure Travel Companies on Earth. A&K offers global travel in two styles: either in small groups led by an A&K expert tour director or on private tours with a customized itinerary and local guide. With its half-century of experience and contact-building, A&K is able to offer unique access to its global destinations. Its distinctive m.o. 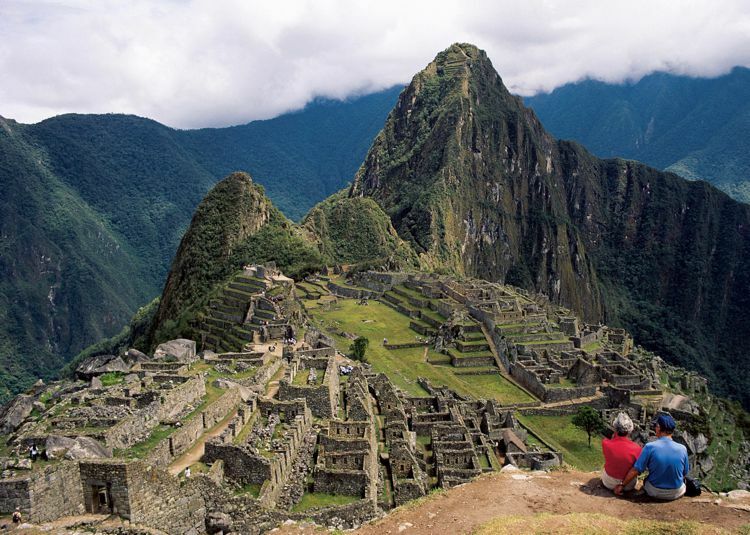 covers 60+ worldwide offices with extensive local networks and profound access; locally-residing tour directors and guides; exceptionally qualified guides, such as the former resident archeologist at Macchu Pichu (shown above); small groups on group tours, with a maximum of 24 travelers; expertise in numerous areas including luxury, culture, history, wildlife, and green travel. Politics permitting, A&K travelers can go anywhere. Company tours explore the farthest and most exotic corners of this planet. Some tantalizing examples: Cuba via private Boeing 757 jet; great rivers like the mysterious Amazon and Southeast Asia's Mekong; fables mountain ranges like the Andes and the Himalayas; eerie deserts like the Sahara and the Gobi, in central Asia's Silk Road; and Antarctica expeditions and cruises. A&K tours also bring travelers to the world's most cherish places: its great cities: historic, modern, and emerging; ancient wonders, like Nimes in France and Varanasi in India; UNESCO World Heritage Sites, and Asia's sacred temples like Angkor Wat. With A&K, modernists can explore benchmarks like the Galápagos, the Amazon, Alaska, and New Zealand, and Australia's Outback and Great Barrier Reef. A&K was established in East Africa in 1962 by Geoffrey Kent and his parents, UK citizens Valerie and Colonel John Kent. Geoffrey was born in Africa while they were on safari. Enchanted by the continent. Geoffrey Kent opened numerous offices in Africa over the next decade. Jorie Ford Butler of Oak Brook, Illinois became an Abercrombie & Kent partner in 1971. Together, Geoffrey and Jorie expanded A&K into a worldwide group of companies with headquarters in London; Melbourne, Australia; and Downers Grove, Illinois. As of 2018, Geoffrey Kent is still traveling the world. He scouts locations, hotels, and attractions. He interviews guides. He ensures that the standards he and his parents established are in force on every A&K journey. And he leads Around the World with Geoffrey Kent, a once-a-year super-deluxe journey whose price begins at $150,000. Abercrombie & Kent's Extreme Adventures are designed for fearless travelers. They demand the utmost of an individual's physical, psychological, and spiritual prowess. Extreme Adventures include these tests: trekking expeditions to the Himalayas' Mount Kilimanjaro and Everest Base Camp. four-wheel-drive desert expeditions to Berber encampments along Morocco's "Road of a Thousand Kasbahs"; kayaking in Costa Rica's rainforests; camel-trekking through ​Jordan's Lost City of Petra; bubble-rafting in Norway's fjords; cycling, mountain-biking, and climbing in Bhutan; hunting with trained falcons alongside nomadic Kazakhs in Mongolia. A&K's Family Holidays are designed for family groups with members of all ages. These vacations combine enriching activities, family-friendly hotels and meals, and a range of rich destinations such as Costa Rica, Kenya, Alaska, the Galapagos, and others. A&K's Family Holidays guarantee expert local guides, private airport transfers, and the support of committed staff. A&K "Insider Access" maximizes Family Holidays' experiences. So a day at the beach becomes a guided ecological conservation tour, an encounter with a local artist becomes an introduction to Andean weaving, a visit to the Coliseum becomes a day at "gladiator school." Additional A&K travel programs include company-run safari camps; Nile cruise ships; Abercrombie & Kent Villas, luxury villas and ski chalets in sought-after destinations; and Abercrombie & Kent Marco Polo Club for frequent A&K travelers. Benefits include exclusive savings and priority booking. Abercrombie & Kent Airport Concierge makes the best of this unpleasant fact of travel. It provides airport services that meet and greet passengers; facilitate airline lounge access; fast-tracking through security, customs, and immigration; chauffeured transfers; city orientations and guides. Abercrombie & Kent Philanthropy (AKP) supports grassroots projects around the world. A&K staff members donate their time, labor, and financial support. Local AKP efforts are overseen by citizens who are passionate about conservation, education, community development. and public health. Some examples: A&K has provided bikes and the groundwork for a biking shop in the community of Nakatindi in Zambia. Five local women have been chosen to operate the new bike shop, and are learning to be bike mechanics. Other AKP projects teach and shelter impoverished children; dig wells; protect wildlife; combat global warming. A&K guests can visit AKP projects during their travels and decide to lend their own support. Visit A&K's website; friend A&K on Facebook; follow A&K on Twitter; see photos on Pinterest and Instagram; watch A&K adventure videos on YouTube; call A&K at 800.554.7016.